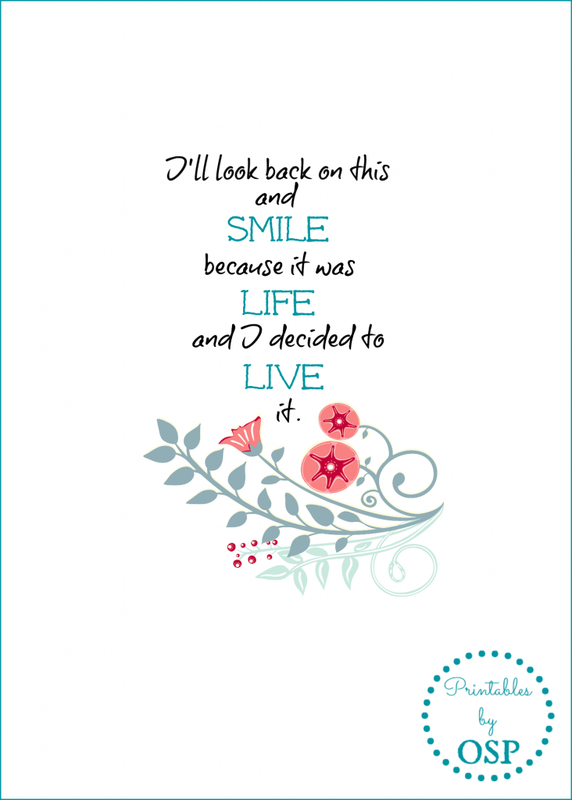 Free printables about life that are suitable for DIY wall art, cards, crafting, screensavers, and more. All are instant downloads. I am trying out a new service tonight for downloading my printables. I think it’s going to work great but if you have ANY trouble just leave a quick comment and I will send you the original file. My theme this month is something I’ve been thinking a lot about lately. Like many of you, I’m getting a bit older and realizing that I don’t have all the time in the world anymore. Not that I’m the voice of doom…but I try to be realistic. I totally enjoy my comfort zone and rarely feel the need to venture out into the unknown. Occasionally though, I take the plunge and have never once regretted it. We all know in our hearts when something is right. Taking a chance is hard but let me tell you, regret is even harder. I refuse to be one of those people who, at the end of their life, wishes they had done things differently. We all have dreams. Some are obtainable and some are not. Deep down we know the difference so go out and grab those dreams that you can make come true. As for those other ones, the pie-in-the-sky dreams, keep them close. They are a lovely place to visit! I hope one of these printables strikes a chord and makes a difference. Print it off, put it in your calendar or on your bulletin board so you can see it and be reminded that life is short. Live yours on purpose. Graphics used in these printables are by FishScraps on Etsy. 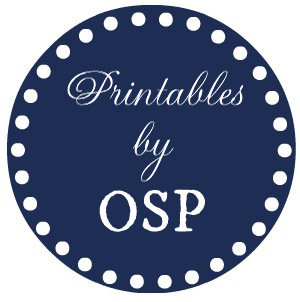 Click on the blue circle to follow my Printables board on Pinterest! I love all of these. Thanks! Congratulations! I featured your post on my blog. Please stop by to pick up your “I’ve Been Featured” button and display it proudly on your blog. Ann, I love all of your printables, but I especially like the third one! Life can get messy sometimes, but I’m like you. I don’t want to look back with regrets! 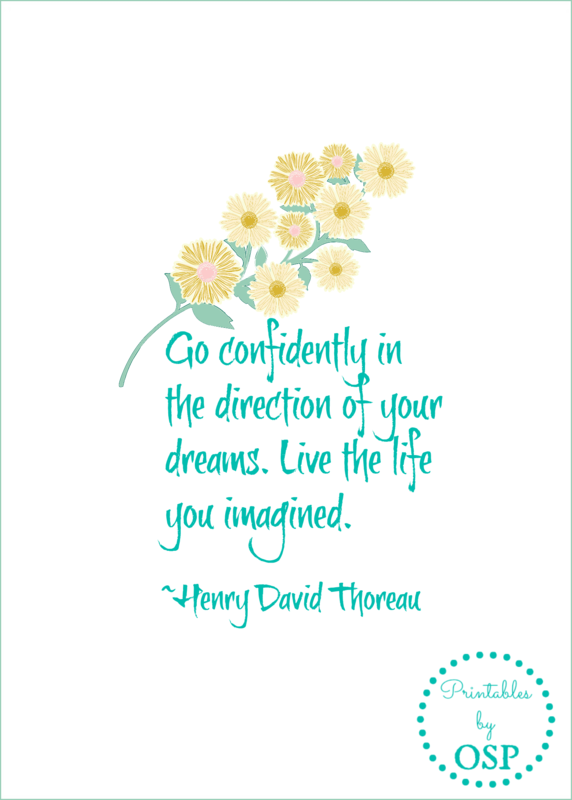 I love the one by Thoreau – such a good thing to remember. I love the flowers that you used in the printables. I pinned the Thoreau quote, it suits my inner self. Have a beautiful week and a fantastic Fourth. 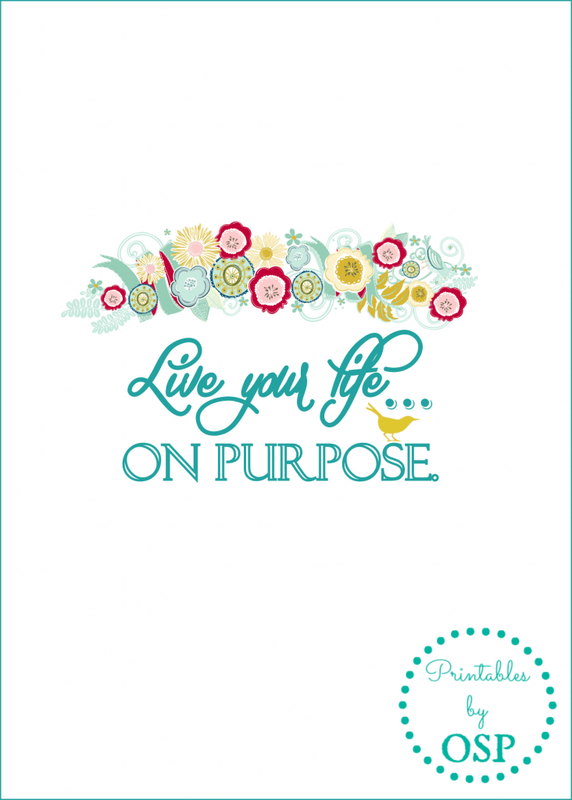 I love all of these Ann…but especially…live life on purpose. What a great reminder. On my way to share on FB!